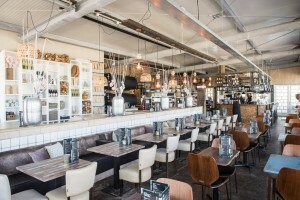 Entrance: At “Zanddijk” opposite bungalow park “Julianadorp” and restaurant “Noordzee”. 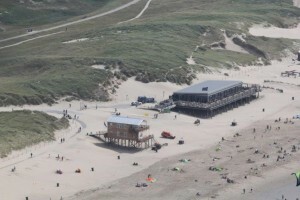 Beach Julianadorp is the largest and best known beach of Julianadorp aan Zee. At the beach there is a large pavilion, there is a guarded beach post and real enthusiasts can even book a stay in one of the cabanas on the beach. 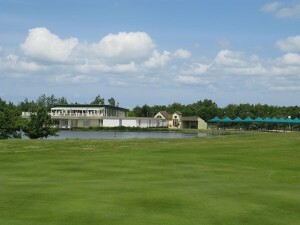 The cabanas are managed by the nearby Beach Resort – Landal Greenpark. 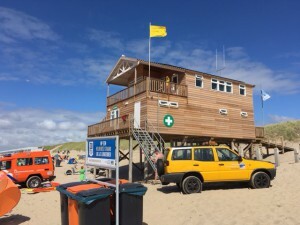 This beach is awarded with a Blue Flag and came fifth in 2013 and fourth 2014 in the election of Cleanest Beach of the Netherlands. There is a guarded beach station SSN/Lifeguards in the summer season. A beach wheelchair is available at the beach post. There is a beach shower. 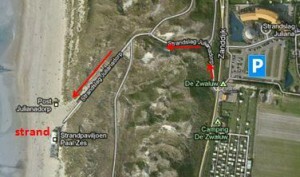 Near the exit to bungalow park “Julianadorp” and restaurant “Noordzee” is a free car park. From the car park you can walk to the beach in a few minutes. 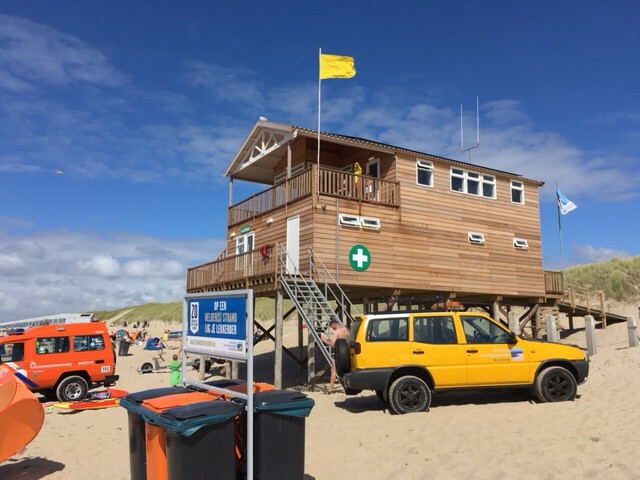 In the summer season the Kustbus bus service (851) runs from Den Helder railway station to Julianadorp aan Zee. The bus stop is at the beach entrance. 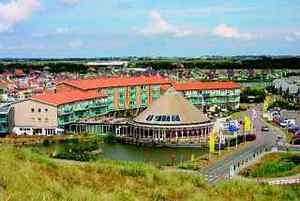 There are restaurants nearby (at “Zanddijk”), such as restaurant “Noordzee”, or a little further into the village of Julianadorp aan Zee. Choices vary from a simple snack or sandwich to pizza, Asian food, tapas or a specific child-friendly restaurant. 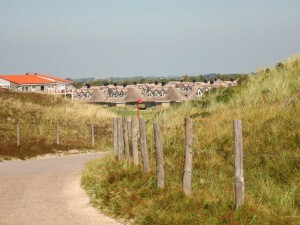 There are many campsites and holiday parks located directly on “Zanddijk” or in the immediate vicinity. You can even stay at the beach in one of the cabanas of Beach Resort Landal Greenparks. 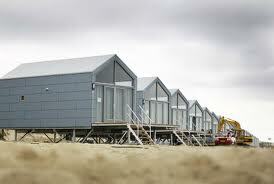 In 2014 these cabanas were valued as best of Netherlands.